We offer an extensive range of window blinds, from classic rollers and Venetians to the very latest Intu range for double glazing and conservatories. Choose from an incredible range of British manufactured styles, colours and patterns or talk to us about custom making a set of blinds in your choice of material and trimmings. Our installations service always begins with a full survey, consultation and quotation breaking everything down. We’ll help you decide exactly which style of window blinds to choose to perfectly compliment your room, and measure up to ensure we supply them in just the right size. At Spectrum Blinds we are very aware of child safety. Young children can become entangled in the cord loops of pull cords, chain and bead cords and the cords that run through and operate all window coverings. To help prevent this, we offer a wide variety of cleats and cord tidies for use on all types of window coverings. 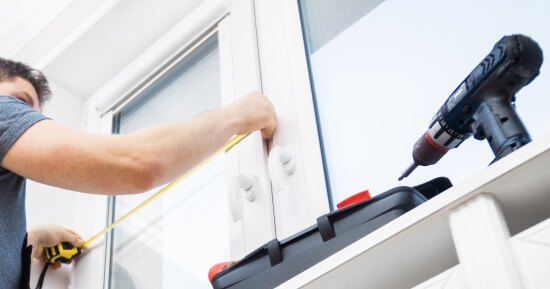 Our experienced installations team have installed thousands of sets of window blinds across the Medway and Maidstone area, whether Intu or vertical, domestic or commercial they’ll get the installation completed fast, safe and to a perfect finish that will really last. We don’t just sell blinds, and we don’t just install them, we provide the total window blinds service; one call and we can bring the blinds store to you with samples and catalogues. Our team will help you pick the perfect style, can order custom made to measure sets and then carry out a full installation keeping everything neat, safe and beautifully finished. No matter what your requirements for domestic or commercial window blind installations put it in the hands of the expert team at Spectrum Blinds Contact us today for more information. Everyone is delighted with the new blinds recently installed in our church.